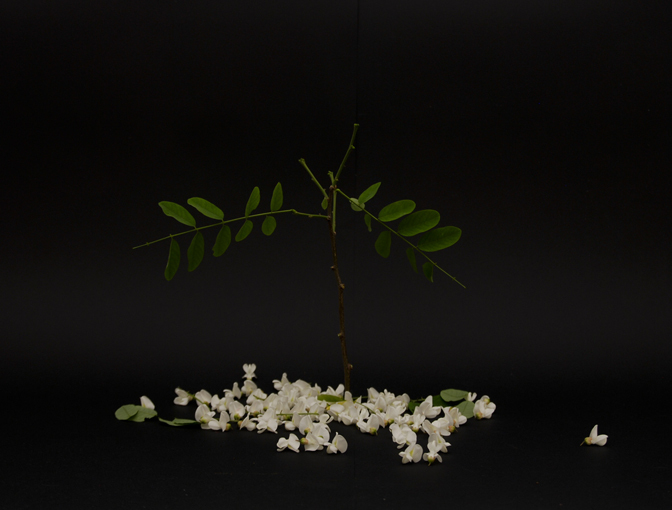 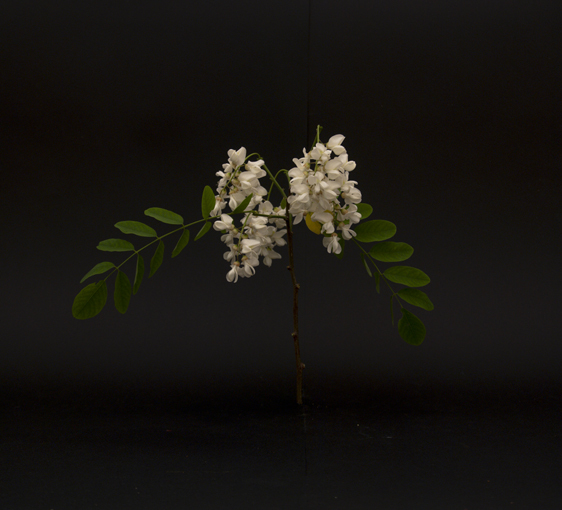 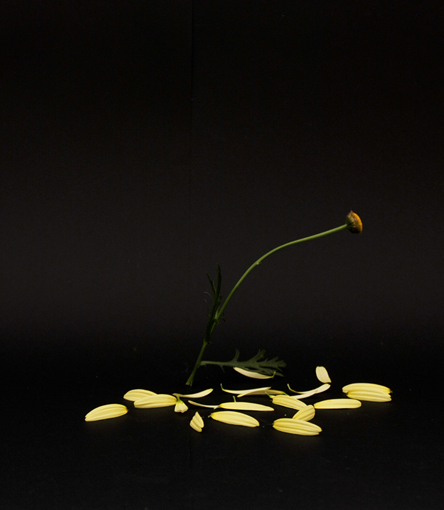 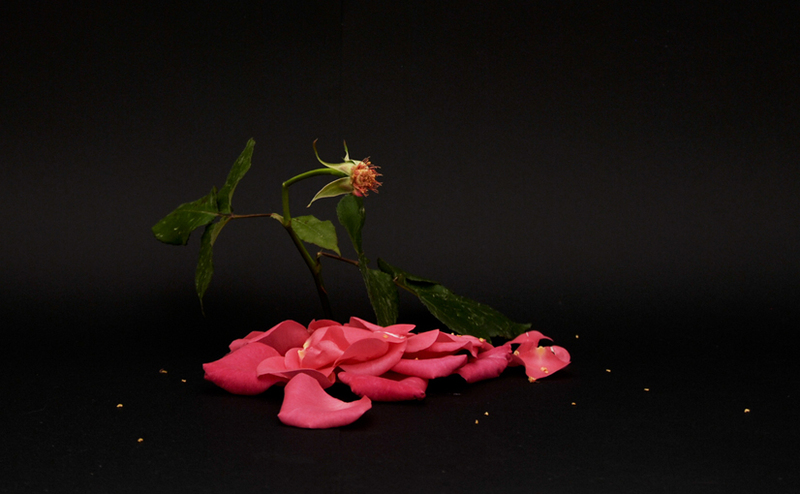 This is a stop-motion experiment with dying flowers. 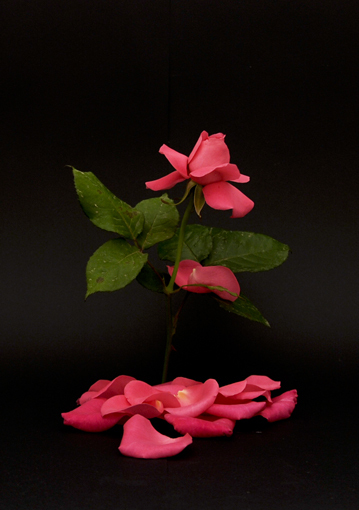 The flowers are placed in a dark room, creating a strong contrast between the dark background and the vibrant colors and life of the flowers. 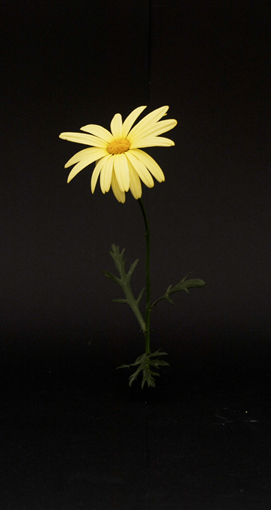 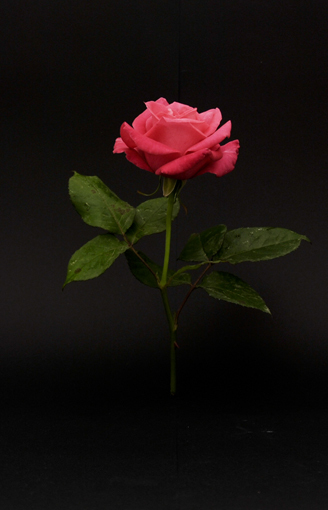 The experiment is about beauty and transience, joy and loneliness. 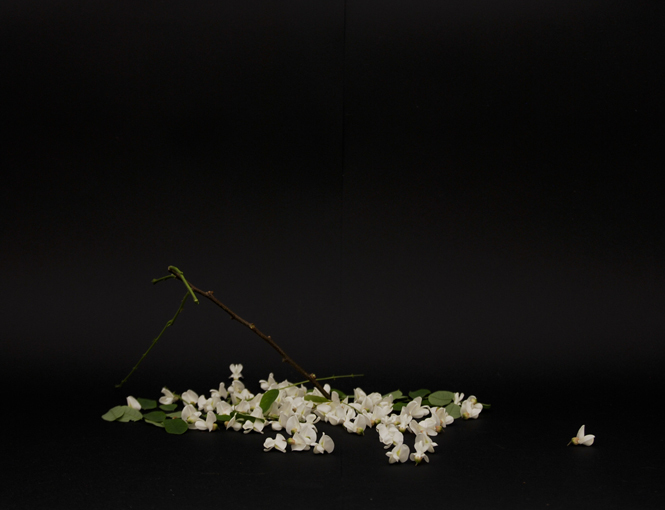 While falling, the flowers make almost human-like movements.